Item # 296678 Stash Points: 498 (?) This is the number of points you get in The Zumiez Stash for purchasing this item. Stash points are redeemable for exclusive rewards only available to Zumiez Stash members. To redeem your points check out the rewards catalog on thestash.zumiez.com. 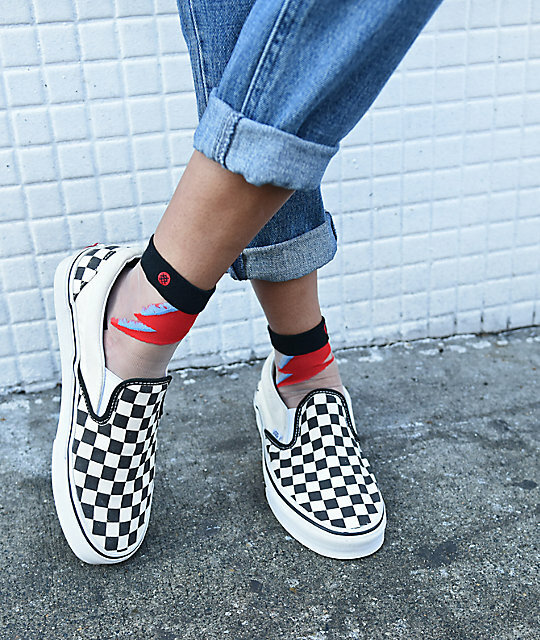 When you've torn your dress and your face is a mess, reach for the Rebel Rebel Sheer Crew Socks from Stance. 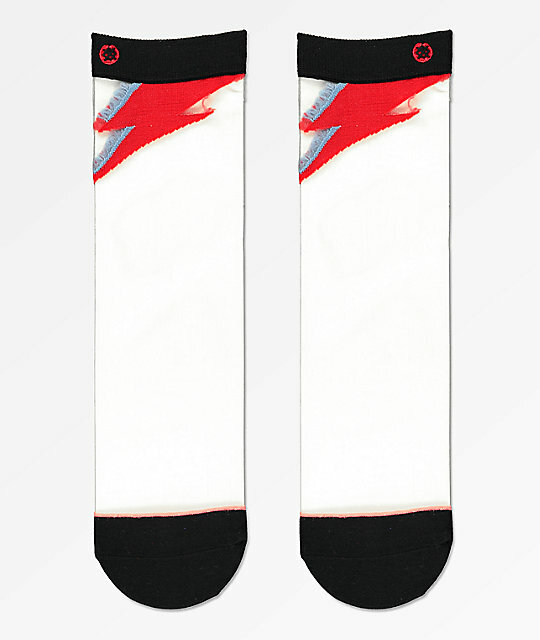 These stylish socks feature a sheer mesh construction with a David Bowie inspired lightning bolt detail at the upper cuffs for added style. Complete with a seamless toe closure and ribbed cuffs for a secure fit, this unique design is sure to complete your divine style. 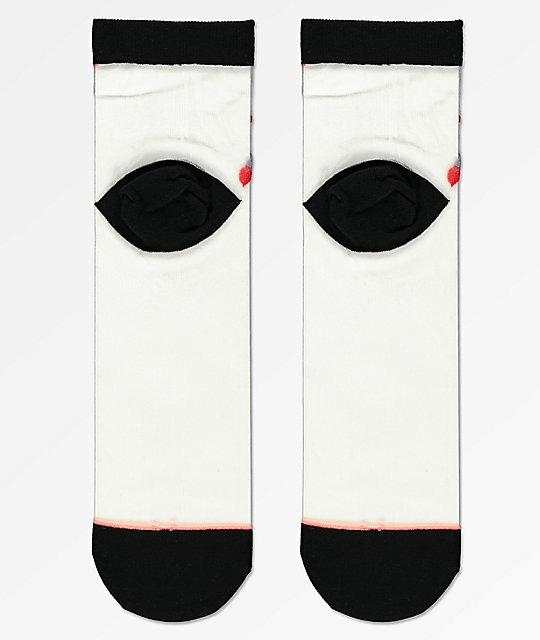 Rebel Rebel Sheer Crew Socks from Stance. Fits women's US shoe size 5 - 10.5. Red & blue David Bowie lightning bolt at upper cuff.